I was put to the task of creating a minute long promo piece for Advancement Resources. They specialize in on site philanthropic training and education for development professionals, researchers, physicians and other employees within both medical and academic institutions around the world. They have recently released an online learning platform to compliment their in-person training so naturally, they needed a motion design piece to promote this new service to the industry. Like much of the work I've approached within the upper tier of the philanthropic world and Advancement Resources, I knew this needed a soft touch paired with thoughtful presentation throughout the animation. I began with pitching a few style frames for approval. Although it ultimately lead to a more refined look within the final piece, these frames where well enough in the right direction for a quick turn around on the approval process. While juggling several other projects there was a relatively tight timeline to adhere to so, my development process was hastened substantially. As I was gathering reference and searching for some different looks, I recieved their first draft of the scrip. It essentially consisted of snippets from brochures and other promotional material they had developed for the platform. It read like this. Too often, professional development is seen as a single event – an in-person workshop, association conference, or webinar just to name a few. To achieve maximum success, professional development should be a journey with blended learning opportunities that occur over time. Advancement Resources new online learning and reinforcement platform, myAR, enables individuals and organizations to continue their professional development beyond the in-person training experience. myAR reinforces that experience by bringing Advancement Resources globally recognized development tools and techniques to you – when and where you need them. Take charge of your professional development. Visit www.advancementresources.org/myar <<or whatever>> to learn more. All to often, professional development is seen as a singular event. But the reality is, your growth should be a journey, a continuous advancement / toward greater understanding. That’s why we provide blended learning opportunities, for when and where you need them. myAR is a new online platform, which enables both you and your organization to continue that development, beyond the in-person training experience. myAR reinforces that experience by bringing our globally recognized development tools and techniques / directly to you. Take ownership of your ongoing professional development. Visit our website to learn more. With the script in the bag I moved on to animating. As you can see my focus was on minimal design and smooth keyframes. 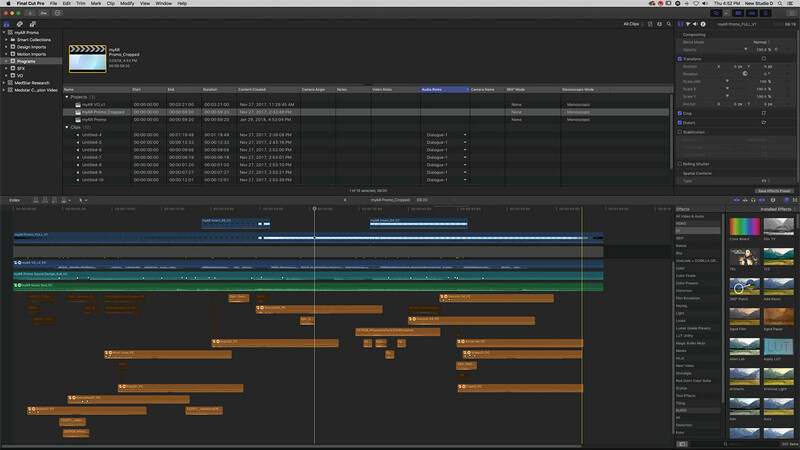 Nothing got terribly complicated just a little bit of compositing and blend mode work layered in for accents. A little bit of C4D was required for the diamond, but that was just a simple render out with an alpha channel. The rest of the color and glow I took care of inside of After Effects. As I brought in rendered sections from Ae, I began working on SFX. A majority of the piece was laid down and approved with the exception of the final 15 seconds. As I had a bit of time before I got word back on their issues with the final 15 seconds I decided to just keep moving forward on sound design. I recorded the final V.O. and replaced the scratch track (it's so easy to bust out quick when you're the one doing the voice over work!) I approached the sound design the same way I do every project. Do a pass through hitting the major transitions with SFX that work well to help identify the sound palette I'll be shooting for. After that I begin to start filling out the low end, subtle atmospherics and circle back around to the subtle details. Here you can see compound clips containing: V.O., Music Bed, Detail SFX, then secondary supportive elements for more sound design.